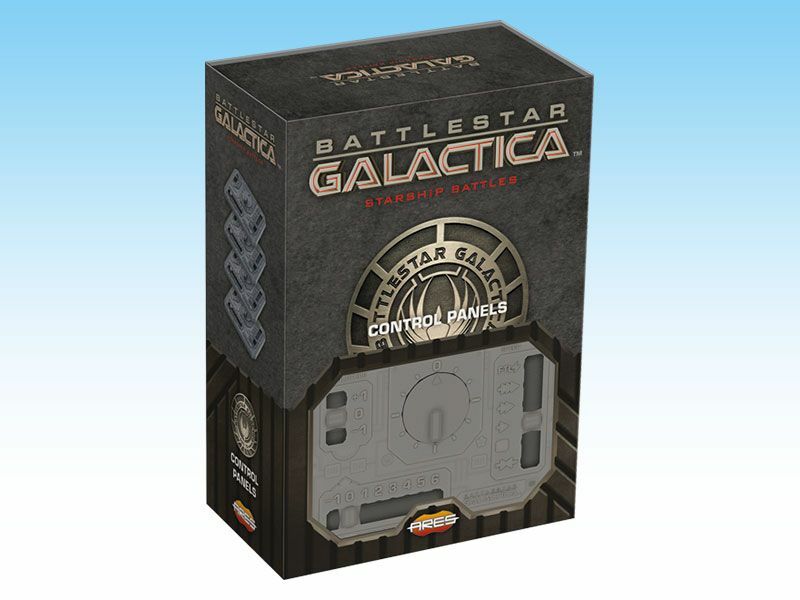 The Control Panel is an essential element of the Battlestar Galactica — Starship Battles game system. Each Control Panel allows you to keep track and manage the speed, kinetic energy, rotation and altitude of one of the spaceships in play. This accessory pack includes four additional Control Panels to expand your games and bring them to the next level! The Raider is the primary Cylon assault craft, first encountered during the destruction of the Twelve Colonies. It is armed with two kinetic energy guns, and it may sometimes carry conventional and nuclear missiles. Kara "Starbuck" Thrace is the fleet's most talented, passionate, and rebellious Viper pilot. In addition to the Viper MK. II model with her call sign, this pack includes Starbuck's pilot card and skill cards. Battlestar Galactica: Starship Battles is a starship combat miniature game created by the same designers as Wings of Glory and Sails of Glory. The game includes ready-to-play, painted and assembled miniatures, with a special base to support its unique game mechanisms. The Viper is the primary space superiority fighter/attack craft of the Colonial Fleet. It is fast and maneuverable, able to operate effectively both in space and in atmospheric combat.